Not exactly a shining moment for Canadian conservatives. And it would be nice to say this surreal example of a mayor gone wild was unpredictable. It would be nice to say that indeed, but it isn’t even close to being accurate. Like it or not, a large segment of Toronto declared Mayor Ford as a man in-over-his-head long before he took office, and years before the Harper government tried to brand Justin Trudeau with the same tagline. The evidence of Ford’s lack of professionalism was abundant while the 2010 election was still in it’s infancy. Remember Adam Giambrone? His in-office fling now seems arbitrary when contrasted next to Ford’s consistent and often jaw-dropping antics. Sure, being an affable fellow is not and should not preclude a person from holding public office. But Ford isn’t affable. He’s a punchline. He’s a bully. He’s not book smart. He’s a bitter partisan who sloganeers rather than leads. And he’s always been this way. His detractors were not simply grasping at elitist straws and motivated by left wing zealots. Even sensible conservatives expressed concern over Ford’s bombastic style. It lacked substance from the get-go. And now here we are. At this very moment the future of our city is in the hands of a greedy crack dealer looking to sell the alleged video. 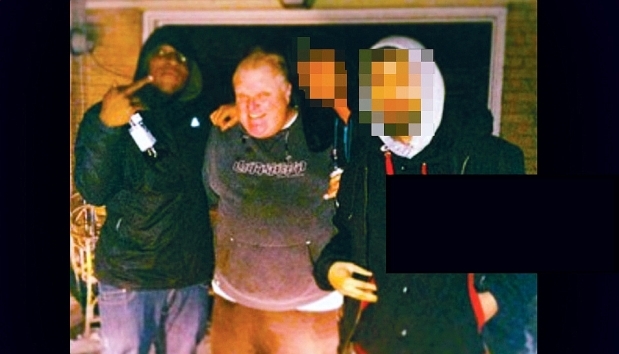 If it is authentic, even the most sympathetic members of Ford Nation will refrain from coming to his defence…maybe. But if you are a Ford supporter there’s really only one thing to say: We told you so. History will probably be kind to Stephen Harper. If one were to be honest about his political career, it would be difficult not to place him in the upper echelon of Canadian prime ministers. By the time he leaves office he will be in the top 6 of the longest serving prime ministers in history. You may not have agreed with him, you may even hate him, or you could consider yourself one of his loyal supporters. But no matter how you perceive him, the man knows how the game is played. As Machiavellian as Harper is, one must wonder how much time he has left at the top of the political class in Canada. Ironically, most of the cracks in his power formed after he finally won his long sought majority government. Backbench MPs with a libertarian or religious bent began to publicly criticize party muzzling. Defense spending on the F-35 file was a staple in the news cycle for months. The Robocalls investigation is far from over, and the latest Auditor General’s report can’t account for over 3 billion dollars meant for counter terrorism measures. The temporary foreign workers issue might be the worst of all, especially now that we know it accounts for almost one third of the government’s “900, 000 net new jobs”, a centerpiece of their answers during Question Period. All of these issues are symptoms of a government increasingly vulnerable to the temptations of majority status. Indeed, as a prime minister of a minority parliament Harper was predictably more measured in how he governed. When he prorogued Parliament to avoid a coalition challenge from the opposition it came off as cynical and calculating. But it worked. A majority government gave him new opportunities, and the temptation to lead through ideological aspirations manifested through omnibus legislation and a transformational mindset. Harper, who had begun his political career stoking the flames of anti-Trudeauism, began to fit nicely into the oppositional label of being a leader with a hidden agenda. Unlike Pierre Trudeau, who served three consecutive terms in majority governments, Harper would be forced to adjust his public image from ideologue to centrist to a modern conservative. He had hoped Canadians would follow him, tilted towards conservatism by both his influence and a natural societal progression. But his majority was enabled by just 39% of the people, the smallest majority government by percentage in Canadian history and not the ideal starting point for a wanna-be transformational prime minister. Cue the perennial, predictable cracks. The omnibus legislation was out of date, pillared by legislative caricatures such as super jails, lax environmental policies and new rules meant to silence intergovernmental workers like researchers and scientists. Harper’s loyal yes-men began to regularly praise Israel, condemn the United Nations and subtly float climate change denials. Not to say you can’t have nice things to say about Israel, but Canadians are not used to platitudes being expressed about a nation so unimportant to our economic or social well being at such a repetitive pace. To many, this over-the-top collection of platitudes was either confusing or cheap, meant to impress or placate rather than genuinely serve the Canadian people. The slams against the UN have been a neocon staple in the United States, but Canada was not used to that kind of rhetorical sloganeering. As for climate change denial, this has been more incremental and far more subliminal. The conservative base is a westernized, oil soaked clan of evangelicals and libertarians, but the rest of the country rightly believes climate change is real and, more importantly, worth fighting against. Conventional wisdom indicates Harper knows his ideology is not shared by at least 75% of the nation; so omnibus legislation is less about a hidden agenda, and more about leapfrogging consensus. 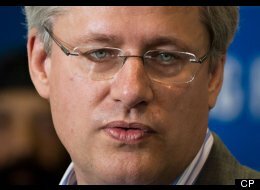 This inability to influence Canadians of a new conservatism means Harper will likely ride into the sunset in 2016, the year following the next federal election. Until then, his calculations will lead him to one of two places. Either he will smartly revert back to a more pragmatic role near the center, or he will continue the experiment of attempting to forcibly indoctrinate Canadians to the right. Reverting back will mean betraying his principles, and the task of indoctrinating a nation whose pulse is demonstrably moderate will ultimately hand power back to the opposition. In other words, he has already piqued politically, and the process of plucking a new leader from his ranks has likely been stirring in his mind for at least 6 months. Harper is a polarizing politician. And while history may be kind to him, one must wonder if ideological ambitions will play a role in just how kind history will be in the end.